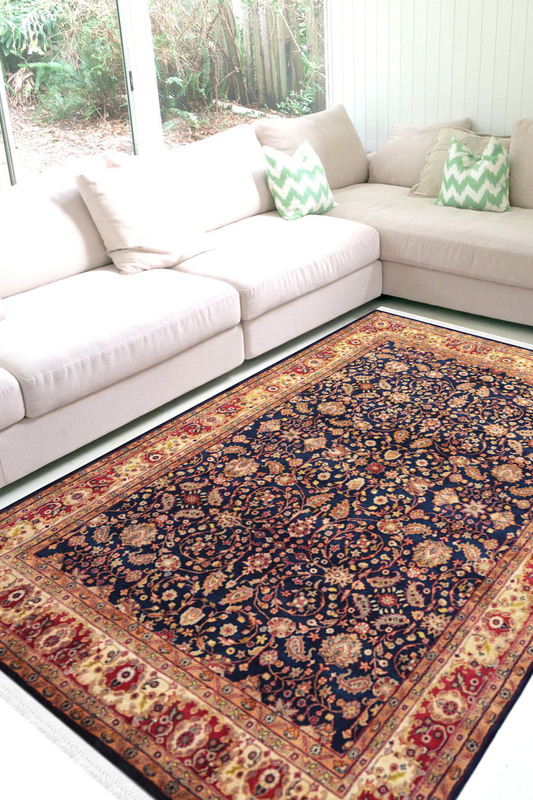 - This rug has an all over Kashan-Nain design pattern and has been woven by our skilled artisans. - The design has been originated from Persia and has an Iranian influence. - There is a bed of flowers throughout the rug with tiny motifs and on a royal blue background.